You got a lot of great shots in this series! Great shot of a fine aircraft. 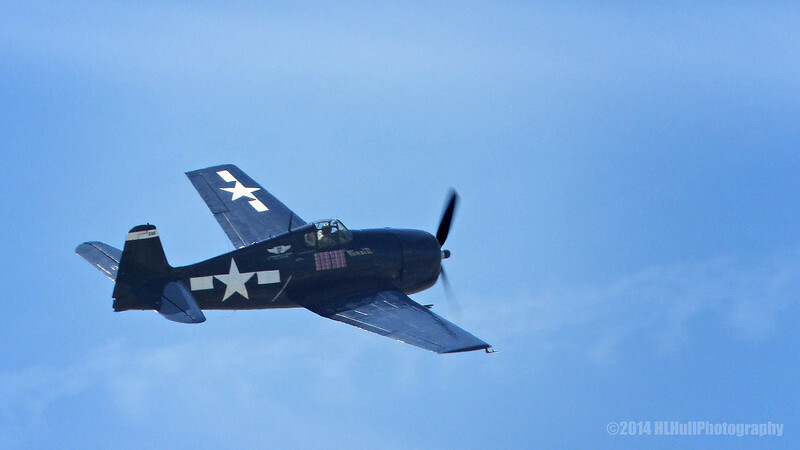 Was able to Google it and it is "Grumman F6F-5 Hellcat N1078Z Minsi III"
Very nice shot - love spinning propeller and how the blue of the aircraft complements the blue sky!